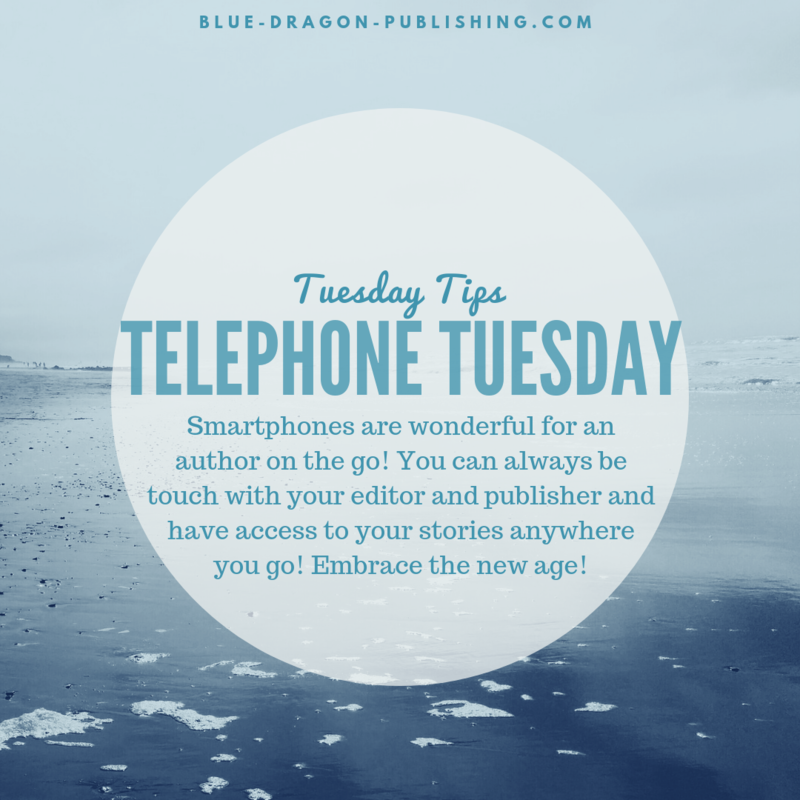 Today is Telephone Tuesday. They truly have a day for everything! How does this relate to writing? Most phones these days have cameras. Pictures can be a great inspiration: a perfect scene that is begging to be described in one of your books; a fun quote posted on a bulletin board or at a shop. Applications on the phone have pretty much replaced pen and paper for taking quick notes or reminders. That includes snippets of poetry that comes to you while you’re waiting in line at the market, or the ending you’ve been struggling to reach. I know one writer who has written entire novels on his phone. Networking is very important when it comes to selling your book or being discovered. It’s vital to have your contacts on hand whenever you need to call upon them or pass their information to another business partner. Sharing information is value-added. My mother used to have a pocket calendar the size and shape of a checkbook that she jotted things in continuously (I think she still uses it). I would be lost without my calendar. I have one just for me that has replaced my to-do lists (great recommendation from 15 Secrets Successful People Know about Time Management). We have another family calendar that I sync with my husband to make sure we don’t double-book anything. I remember when texting first came out. I HATED it. I would be terribly annoyed when people would text me. Back then, I was paying per text and getting charged for someone saying good morning. Thank goodness technology has moved on and I have unlimited texts, because now I’m hooked! For something that isn’t overly urgent, a text is a way to get a quick answer without getting drawn into a long conversation. Have you discovered Snapchat? It really isn’t for people of my generation (born in the 60s), but I use it to keep in touch with my daughters. My oldest is away at college, so the daily snap from the back of the classroom every morning is enough for me to know she’s safe…and where she’s supposed to be. It does make me laugh when my younger daughter uses the voice filter to sing me a song that comes out sounding like a chipmunk cartoon. Oh, and there is this really cool feature where you can actually put the phone to your ear and hear a voice on the other end—real time! I don’t think that feature works on my kids’ phones though. They never answer it. Hurray to the phone! Thanks for the modern convenience that we take for granted.